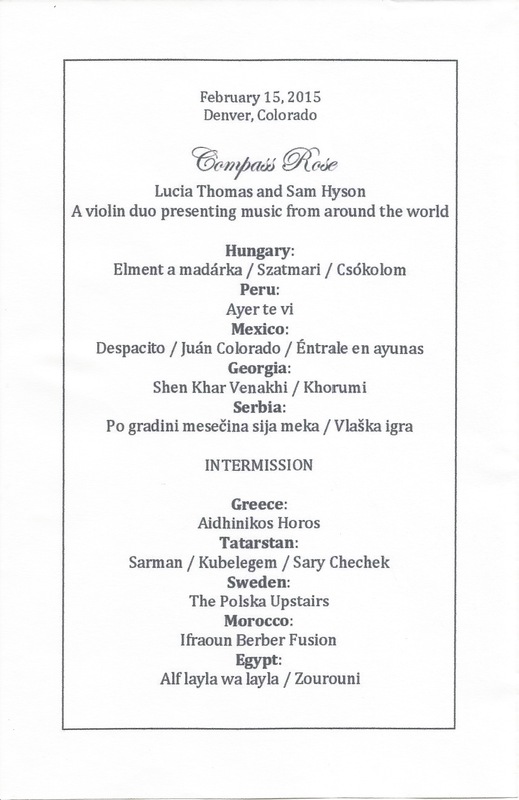 In February, we took a trip to Denver, Colorado, where we performed a house concert of songs from around the world. Thanks to all who attended and helped with the event! See additional videos here.